I want to use my loft as a secure, insulated and dry storage area for valuables/cherished goods. At the moment, it has standard ceiling joists and a small loft hatch. It is a 1960's semi with a traditional cut hipped roof. I would like to change the following. 1. A new floor with proper load bearing provision. 2. A new loft hatch with ladder. 3. Install knee walls and insulate/plasterboard throughout. 4. Build and insulate a stud wall at the party wall. This room will definitely be non-habitable as I will not have heating, a window or mains sockets in there, just an electric light. I did consider a full conversion but this would have involved a side dormer to accomodate the stairwell and also, the height of the loft after the new floor and insulation/boarding would be less than the recommended 2.3m. My question is regarding building regs? Assuming all work is carried out to current regs levels, is there still an obligation to involve my local BCO, even though the room will be designated as non-habitable? I'm guessing yes, as this will involve structural changes with the new floor, but will they not insist that this is the beginnings of a "full" conversion and take me down the stairs/fire regs/escape regs route? I want to definitely keep the right side of the law! 1. I need a hole cutting in the landing ceiling for a hatch, to install a pull-down ladder. I've been told by 2 tradespeople that because the house is a Victorian/Edwardian terrace with lath and plaster ceilings, when the hole is cut, the whole landing ceiling is likely to come down, making an incredibly filthy mess through the whole house. Is there any way to avoid this? Even if there's no way to avoid the risk of the celing coming down, could the dirt between the loft beams (joists?) be vaccumed up first? 2. All the upstairs ceilings (and some of the walls) have woodchip wallpaper that I was planning to remove. But presumably doing that might also bring the ceiling down (and the lath and plaster on the walls). Would it be worth replacing the whole top floor ceiling (vaccuming the dirt first)? 2. I was thinking of boarding on top of the existing beams for loft storage, but I've read that such beams are not strong enough for anything other than very light storage, and even walking around might bring the ceiling down. I'd be most grateful for any advice you can offer. 3. 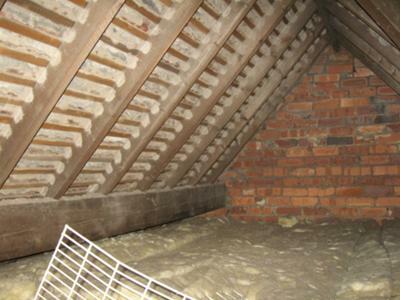 Do you know of a tradesperson or company in or near Leicester with good loft experience? I have boarded out my loft severalyears ago with 8" joists with interlock boards. I would like to do the roof space know; can I do it with tounge & groove using the roof joists to nail to & do I need to insulate this & put in ventalation vents. We have recently had work carried out to turn our loft in to a storage area. We had a company in to strenghen the floor and board it,they also put in a velux window insulated the roof, put in a light fitting and two double sockets and a new loft hatch with pull down ladder. We asked about planning permission and building regs and was told we didnt need either.We also had plasterboard fitted to the roof and had this plastered.We have since had a visit from the council and have been told we did need both and that we would need to take up two thirds of the floor, put in air vents,remove the sockets,and remove the plasterboard and plaster even though we have told them we are using it for storage. Can you help resolve this issue because the company is saying one thing and the council another, so I need to know will I have to do all these things or just some of them. I would like to convert my loft space into storage for empty suitcases, paper boxes, etc (no furniture nor people). 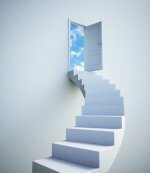 I will hire a carpenter to install a ladder, flooring, and light. However, is there anything I should check and see if the joist can support a storage conversion in the first place? The joist size is 2"x4" and they are 12" o.c. apart. The size of the house is about 20' x 17', and the joist is running along the 20' side. I am not 100% sure about the joist span. However, by check the wall downstairs and pretend(!) those are all supporting walls, some joists have to span about 13' for the room right below it. The worst case is it span 20' all by itself. Is there anything I should check before getting the carpenter in? It may sound silly, but 20 sq m of the loft flooring (medium density fibre board) weight almost 300 pound by itself. That is the load on top of anything I want to store. Will it be too heavy for the existing structure? I live in a Victorain mid-terrace house in Manchester (ca. 1900). I would like to get some use out of my loft space (purely for storage) and am looking at how to go about it. The loft floor currently consists of ceiling joists approx 9cm x 3cm and spaced about 36cm apart running front to back across a central load bearing wall (dividing the bedrooms below) such that the maximum span is about 3.2m. The timbers seem in good condition. If I screw down 2x2" battens at right angles across these joists and then screw down tongue and groove loft boards (ex B&Q)in the central part of the loft, will it be safe enough to walk on periodically? Also will it hold a decent amount of junk, or just empty cardboard boxes? Like I said I don't want another habitable room - just somewhere to hide stuff, but I'd need to be able to get at it safely. I would like to store paper and books in the loft. It is insulated and boarded but gets hot in summer and cold in winter. What is the best way to store paper etc so I can use it again in a few years? Is it better to use cardboard boxes or plastic boxes or anything else? I have purchased a new property recently and would like to use the loft space for storage (I also plan to board the floor). All of the bedroom ceilings beneath the loft are lath and plaster but look to me to be sound and in good condition. I have heard that this type of plaster can be very brittle and may start cracking or falling down when I start walking around in the loft. My DIY knowledge is limited and so my question is, would I need to install plaster boards to the bedroom ceilings to "strengthen" the plaster or is this not necessary? We've just bout a 1930s house which currently has loft insulation which is deeper than the ceiling joists. I have explored about as far as I want to without getting some advice first (I've stood on the edge of the hatch and all I can see is a sea of insulation). At some point in the future we might want to do a full conversion to make a bedroom with en-suite bathroom but for now we could really do with using the loft space for storage. Some of the items we will need to store could be reasonably heavy. What size do the joists need to be to support a person walking around and a decent amount of storage (so I can put anything I can carry up the ladder up there)? What measures do I need to take to make sure I don't compromise the insulation? If I am only boarding the floor for now and don't go right to the edges can I assume I will not cause a condensation problem by stopping the ventilation? Do I need to check for any cables / Pipes that are already hidden beneath the insulation? Is there any other important factors I havem't picked up on here. I have been asked to enclose a loft space which has already had a foor and velox window fitted. This is to make a suitable light storage space in the loft basically a small enclosed room (not for living in). If the roof joists are used to form a ceiling with insulation behind the plasterboard under the felt and tiles could this cause a condensation problem? The building is a 50s style semi-detached brick built property. Hello just a quick question. Have been on this site and two examples of the roof structure's dont match mine, its a double gable roof pre 1965 but it has horizontal cross beams across the pitch and 45 degree supports into the pitch. The horizontal is appox 6ft high i wish to move it up about 4ft the hight of the pitch is about 15ft is this possible ? Hi, I want to insulate the storage area in the eaves of my loft conversion which is currently a "cold " space but do not want to cause a condensation problem. The loft has rockwool type insulation under the floor of the eaves, and Celotex insulation & insulated Plasterboard separating the storage area from the habitable room. In the storage area can I use a silver foil type insulation stapled to the inside of the Rafters supporting the roof battens & tiles, there would be a ventilation gap between the roof felt & the insulation of about 120mm.